All content on this site is the property of the Air Comfort and is protected by copyright. Permission to use information (such as presentations, press releases, datasheets and FAQs) from this website is granted, provided that (1) this notice appears in all copies and that, in particular, both the copyright notice and this permission notice appear, (2) use of such documents from this site is for informational, media and non-commercial or personal use only and will not be copied or posted on any network computer or broadcast in commercial media, and (3) no modifications of any information is made. Use for any other purpose is expressly prohibited, and may result in severe civil and criminal penalties. Violations will be prosecuted. 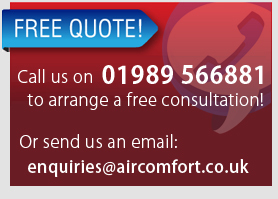 Permission given above does not include the use of the design, “look and feel” or layout of the Air Comfort website or any other site owned, operated, licensed or controlled by Air Comfort. Elements of these websites are protected by copyright, trade dress, trademark, unfair competition, and other laws and may not be copied or imitated in whole or in part. No trademark, trade dress, logo, graphic, sound or image from any Air Comfort website may be copied or retransmitted unless expressly permitted by Air Comfort that is owning these rights. The pages and related graphics published on this server could include technical inaccuracies or typographical errors. Changes are periodically added to the information herein. Air Comfort and/or its respective suppliers may make improvements and/or changes in the product(s) and/or the program(s) described herein at any time. In no event shall Air Comfort and/or its respective suppliers be liable for any special, indirect or consequential damages or any damages whatsoever resulting from loss of use, data or profits, whether in an action of contract, negligence or other tortuous action, arising out of or in connection with the use or performance of software, documents, provision of or failure to provide services, or information available from this site. The links in this area will let you leave Air Comfort’s site. The linked sites are not under the control of Air Comfort and no entity of Air Comfort is responsible for the contents of any linked site or any link contained in a linked site, or any changes or updates to such sites. Neither is any entity of Air Comfort responsible for webcasting or any other form of transmission received from any linked site. These links are provided to you only as a convenience, and the inclusion of any link does not imply endorsement by Air Comfort of the site. The names of actual companies and products mentioned herein may be the trademarks of their respective owners. The use of these trademarks, of the company name Air Comfort and the company logo, except as permitted herein, is expressly prohibited and may be in violation of law. Your usage of this website may be recorded. Air Comfort shall be free to use this information for statistical evaluations, to ensure an undisrupted service and to improve our websites. Please do not use this service if you cannot agree with that policy. 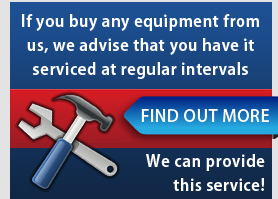 By accessing this website, you will be consenting to this policy and use. Air Comfort will comply with the provisions of the Data Protection Act 1998 in relation to personal data. It will use personal data submitted under the Queries and Feedback section of the website only for the purposes of product development, quality assurance, and product awareness.